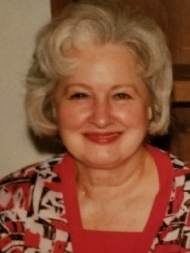 Graveside services for Wanda McDonald, 84, of Houston, will be at 1:00 p.m., Thursday, January 18, 2018 at the Hunt Cemetery in Henderson, Texas with Rev. Donnell Wright officiating. Mrs. McDonald passed away on Monday, January 8, 2018. She was born February 14, 1933 in Henderson, TX to the late Johnnie Valree Hunt Whitten and Mitchell N. Mayfield. Wanda played clarinet in the Henderson Lion Band and graduated from Henderson High School in 1951. She married James Carl McDonald, Jr. on August 31, 1951 at Mission Springs Baptist Church in Henderson. After his Marine service during the Korean War, James and Wanda moved to Houston where she worked at Tidewater Oil Company, Getty Oil Company and Vinson & Elkins Law Firm where she eventually retired. In addition to her parents, she was preceded in death by her husband and her grandson, Clayton Daniel Varnon. Survivors include: her children, Sherri Lynn McDonald Nelius and husband Carl of Conroe, TX and Carla Jeanne McDonald Atmar of Katy, TX; six grandchildren, Brian Burkholder and wife Cathy, Jeana Harding and husband Aaron, Russell Nelius and wife Lana, Denise Atmar, Robert Atmar, and Ryan Atmar; and seven great-grandchildren. Serving as Active Pallbearers are Carl Nelius, Brian Burkholder, Robert Atmar and Ryan Atmar. Honorary Pallbearers are Russell Nelius and Aaron Harding.